I’ve been spending a lot of time working with computer science students at Chief Sealth High School these days. Creating lectures, activities and assignments for them has been a fascinating challenge since the students operate at a huge range of levels. At the college level, there’s a fair spread, but never anything like this. Some of these students struggle with reading, others are very limited in their math skills. Overall, though, they’re an absolutely wonderful bunch. 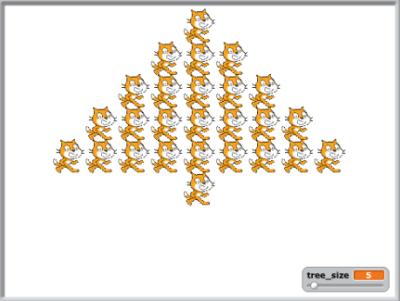 We did a bit of work with Scratch recently to debunk some programming misconceptions and work on spatial reasoning and problem analysis. This looks great! You’re right–there aren’t a lot of resources like what you’ve posted (thanks for the ideas). I know that there are a lot of folks who are using Scratch, but they apparently don’t have much of a web presence. I like your term: “Scratch Evangelism.” It’s right on the mark!